The Fortified Churches Foundation is also dependent on donations to secure its long-term work, i.e. on donations to expand its capital stock. From Wiesbaden came now energetic support for it. When Michael Sauter visited Transylvania in May 2018, this was not only an educational and recreational trip for him, but he also followed in the footsteps of his parents. They had visited the fortified church landscape several times before 1989 and had also organised aid deliveries to the region. Last year Sauter came to Romania with a travel group from his Wiesbaden congregation for about a week. In the Bishop’s Palace of Sibiu, the tourism officer of the foundation presented the overall situation of the fortified churches to the group. In the weeks that followed, Sauter decided to support the work of the Fortified Churches Foundation in memory of his deceased mother with a donation of 50,000 euros. The money was donated to the foundation’s inviolable capital stock, which has grown to over 70,000 euros. 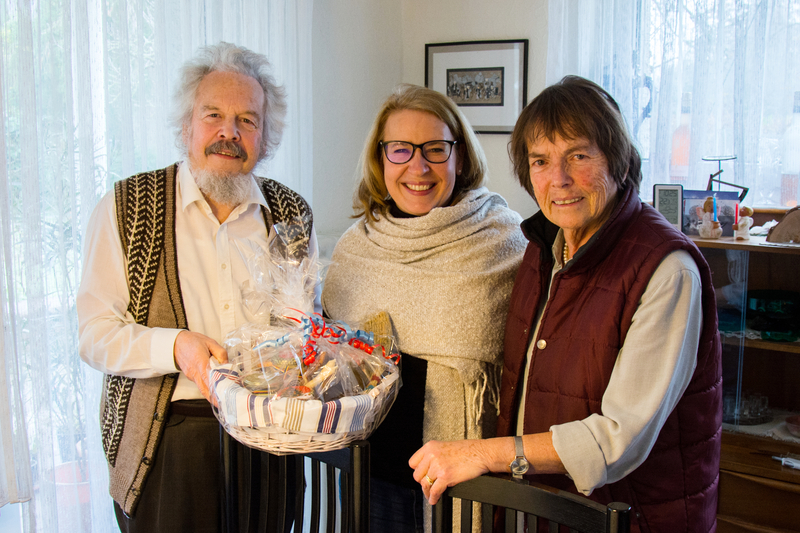 The team of the Stiftung Kirchenburgen thanked Mr. and Mrs. Sauter with a Transylvanian gift basket. If you would also like to support the preservation of the fortified churches with a donation, please contact us at any time.